Change the screen resolution to 1024x768. 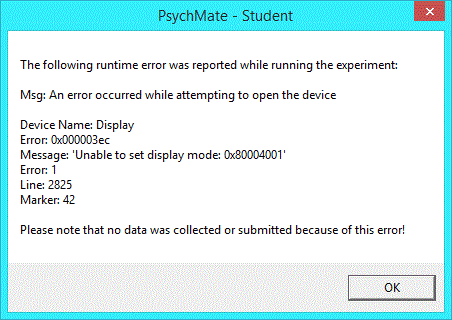 Starting with version 2.0.62.47, PsychMate uses a native resolution of 1024x768. Update the video card drivers. Run the software in compatibility mode. Locate and right-click the PsychMate icon. Navigate to the 'Compatibility' tab.